Johnson Controls will merge with Tyco to better focus on smart buildings, energy management and energy storage. 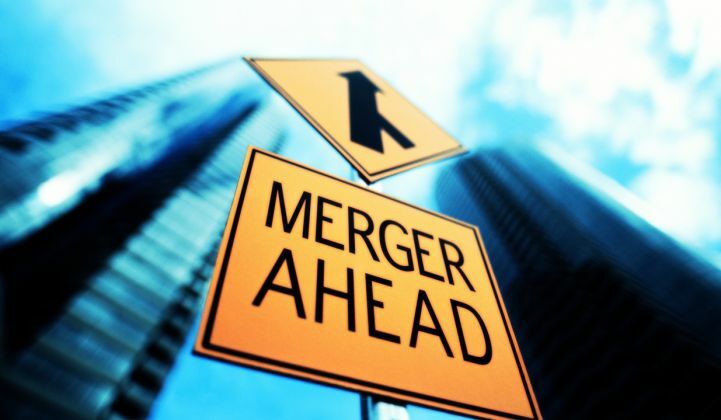 The pending merger will bring together Johnson Controls' refocus on its core business and Tyco’s fire and security portfolio. The new company, still to be called Johnson Controls, will have $32 billion in revenue. The two companies have identified $500 million in savings through synergies and another $150 million in tax synergies. Johnson Controls will be based in Cork, Ireland, where Tyco is currently based. Ireland has one of the lowest corporate tax rates in the world. But it’s not just about tax savings. “Though some headlines may read ‘tax-avoiding inversion,’ this is a bigger strategic step focused on consolidating operational processes and leveraging synergies between two major industrial conglomerates,” said Omar Saadeh, senior analyst with GTM Research. “In fact, we’re seeing similar re-alignments in the C&I energy and automation industry. GE’s new Current brand combines its internal LED lighting, solar, storage and EV businesses with its Predix data analytics platform,” Saadeh added. Both Tyco and Johnson Controls have focused on streamlining business to get back to their core competencies. In the past decade, Tyco moved from being a holding company to an operating company that focuses on fire and security. In the past few years, Johnson Controls shed its automotive and global workplace solutions businesses while entering into a strategic alliance last year with Hitachi’s HVAC business. Johnson Controls still makes automotive batteries, but its automotive seating business will be spun off later this year. The companies said that the new Johnson Controls will be able to take advantage of the convergence around smart homes and buildings, as well as smarter operations. Global cross-selling was also cited as an attractive selling point for both companies. Tyco has a stronger presence in Europe, while Johnson Controls has a more robust business in Asia. The combination of intelligent controls and a rich analytics platform to drive recurring revenue is compelling to many companies that serve the C&I building space. And yet, to date anyway, it’s been easier to talk about than to actually deliver. 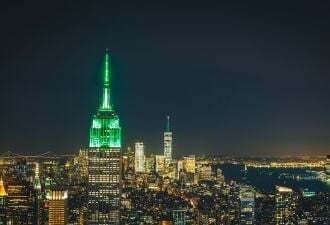 A connected LED light system may be able to yield operational efficiencies across a building, but that additional functionality usually involves selling more than one department in the business on the lighting upgrade. If the focus is smart cities, the challenge is even more complex with often-siloed departments within a city. One near-term growth area for Johnson Controls is its energy storage offering. The company is already pitching storage to clients it is working with on building controls and demand response. One of its first clients for its behind-the-meter energy storage offering is Chicago’s Merchandise Mart, owned by Vornado Realty Trust. Johnson Controls joined the busy field of behind-the-meter energy-storage system vendors last year, which includes other large players such as ABB, Tesla and Bosch competing with an array of startups in the commercial and industrial market, such as Stem, AMS, Geli and Greensmith. While energy control, efficiency services and storage are being offered as bundles by various vendors, marrying security services and building controls is a combination more common in the residential sector, by companies such as Alarm.com, Vivint and Nest. There is a market opportunity for big players such as Johnson Controls to help corporate clients navigate the brave new world of treating their buildings as a grid asset, rather than just a real estate holding. Just as security has been a natural foothold for companies like Vivint and Alarm.com to sell more energy services in homes, Johnson Controls hopes the same will be true of its merger with Tyco. Even with a stronger foothold across an expanded client base, selling lighting-as-a-service or complex, integrated energy services offerings is still in its very early days. When GE spun off Current in October, it called the $1 billion energy services company a startup. Industrial controls giants like Johnson Controls, Schneider Electric and Honeywell, on the other hand, are often seen as being a step behind in terms of innovation compared to startups that have begun to challenge them in certain product segments. Most commercial customers still want a trusted name as they look to dig deeper into complex energy problems, but they also want an open-source, nimble partner to guide them. It’s yet to be seen if Johnson Controls’ merger with Tyco will get it any closer to being seen as the latter. The merger is expected to close by the end of September.